Home > Share Fundamentals > Buy or Sell Recommendation : How to read an equity research report? Buy or Sell Recommendation : How to read an equity research report? A lot of information about companies trading on the share market is available in business newspapers, television and internet. Another important source is equity research report written by analysts who are experts in this field. written in some alien language. Let us see how to understand an analyst report. Basically, equity research report means analysing a particular company’s financials by means of ratio analysis and comparing it with its own peer group, forecasting the financials and arriving at a buy or a sell recommendation. An equity research report normally begins with some basic information about the company, including the company’s ticker symbol, exchanges on which its shares are traded, the primary sector and industry in which it operates, the current stock price, market capitalisation, liquidity, major shareholders of the company, significant recent developments, an earnings forecast, a valuation summary, recommended investment action, etc. This includes a detailed description of the company, its products and services. It explains the company’s economics, including the key drivers of revenues and expenses. Much of it is sourced by analysts from the firm itself and via its regulatory filings, as well as industry publications. Under this section one may observe a critique of the firm’s management and board, senior management’s history with the firm and their record of capital allocation their compensation and incentive plans, and levels of stock ownership. It also talks about whether there is a succession plan in place for senior management. A review of the composition of the company’s board of directors and whether it is sufficiently independent or if there is evidence or risk of entrenchment all find mention here. 4. Industry overview & competitive positioning..! This section provides an overview of the industry dynamics, including a competitive analysis of the industry. Generally, one can find ‘Porter’s Five Forces’ framework for industry analysis. Additionally, production capacity levels and pricing, distribution and stability of market share are shown. 5. Valuation & financial analysis..! Here, a thorough valuation analysis of the company using conventional valuation metrics and formulas is shown. Equity valuation models can derive either absolute or relative values. Further, a detailed analysis of the company’s historical financial performance, and a forecast of future performance is included. Future performance is measured using financial modeling techniques. This section addresses negative industry and company developments that could pose a risk to the investment decision. Risks can be operational or financial, or / related to regulatory issues or / legal proceedings. To conclude, an equity research report can include varying levels of detail, and while there is no industry standard when it comes to format, what we have discussed above are the elements one can see in a majority of analyst reports. 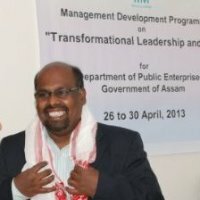 The writer Mr. S Saravanan is associate professor of finance & accounting, IIM Shillong.